As a regional affiliate of the American Geriatrics Society, the organization provides leadership for professionals, policy makers and the public in the area served. 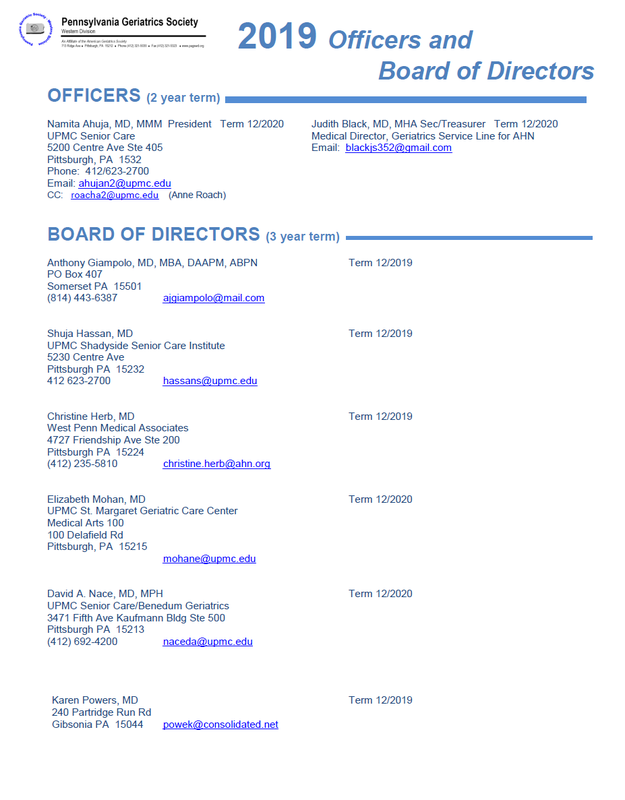 The organization aids in the efforts of the American Geriatrics Society in developing, implementing and advocating programs in patient care, research, professional education, public policy and public information for the Pennsylvania and region. 1. Promote geriatric education for all geriatric healthcare professionals. health and well being of older adults. 4. Encourage students and residents to pursue a career in geriatrics.